Stealing a bit of the supercar spotlight back from Hennessey and its Venom F5, Bugatti insiders have gotten to talking about the successor to the legendary Veyron. The car will reportedly use a hybrid powertrain to make it quicker and faster than any iteration of the Veyron, including the world record-breaking Super Sport. Let the next generation of world speed record wars begin. Based on its talks with “Bugatti insiders,” Autocar reports that the next-generation hypercar will be capable of flipping the last two digits of the Veyron’s 268-mph (431-km/h) world record, reaching speeds up to 286 mph (460 km/h). Bugatti’s computer simulations suggest that the new car will also be quicker, launching to 62 mph (100 km/h) in 2.3 seconds. Unlike the the Hennessey Venom F5, which will have a power-to-weight ratio that calculates out to around one, the beefy stock bred by Bugatti won’t have such a luxury. As in the past, Bugatti will have to rely on stuffing more ponies into its new car. Autocar suggests it will add nearly 300 hp, upping total system output to close to 1,500 hp. To get to that massive output figure, Bugatti will go in the same direction as hypercar contemporaries like McLaren and Ferrari: hybrid power. Bugatti is still experimenting with multiple prototype layouts, but indications are that it will task an electric drive with assisting an engine based on the Veyron’s quad-turbo 8.0-liter W16. It’s not clear how much that electric unit will improve upon the Veyron’s laughably terrible 10 mpg combined EPA rating, but we’ll wager that fuel economy will remain grim. Interestingly, while Autocar was so enthused about its Bugatti discoveries as to drop its own press release on the auto wire, it doesn’t really believe that the car will ever reach its full potential. That analysis also suggests that Hennessey’s projection of 290-mph speeds could fall victim to the same limitations. Given that neither car is even developed yet, the manufacturers and their tire partners have some time to figure it all out before putting the cars to the test. The Veyron successor will reportedly go on sale in 2016. In more imminent news, Bugatti is finishing off its “Les Légendes de Bugatti” (Bugatti Legends) Veyron Series with the sixth and final model, the Ettore Bugatti. Like the five Bugatti legends that came before it starting a year ago, the Ettore is based on the Veyron 16.4 Grand Sport Vitesse –world’s fastest production roadster – and doesn’t include (nor need) any powertrain tuning. 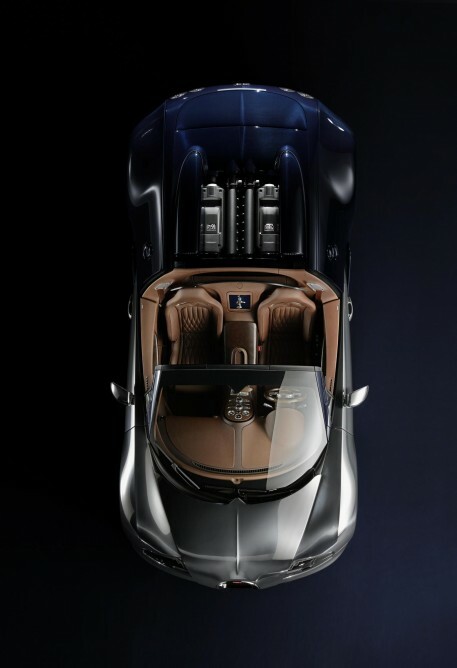 The bespoke aesthetics of the Ettore Bugatti Legend pay homage to both Bugatti’s founder and the 1932 Type 41 Royale. The car’s body is decorated in a “yin-yang” style that pairs clear-coated, hand-polished aluminum up front with dark-blue exposed carbon in back. 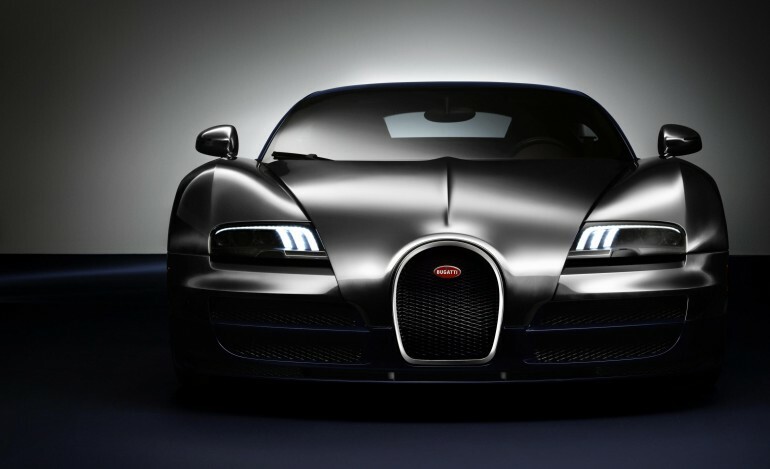 Bugatti says it is the only manufacturer in the world to use clear-coated aluminum on a first production car. The exterior is accented with a platinum grill surround and rear logo and engraved Ettore Bugatti signatures painted in silver. It rides on custom, diamond-cut eight-spoke wheels. The Ettore’s interior pairs calf and cordovan leathers in creating a warm, rugged cockpit. Dark blue carbon and stitching provide contrast, and a platinum-coated dancing elephant inset in the rear center box cover is a touch derived from the hood ornament on the Type 41 Royale. Bugatti will debut the Ettore edition as part of next week’s Monterey Car Week. It will show the new car with its five ‘Legends’ predecessors at The Quail and Pebble Beach Concours d’Elegance. Gizmag will be attending the festivities, so stay tuned for the latest coverage.